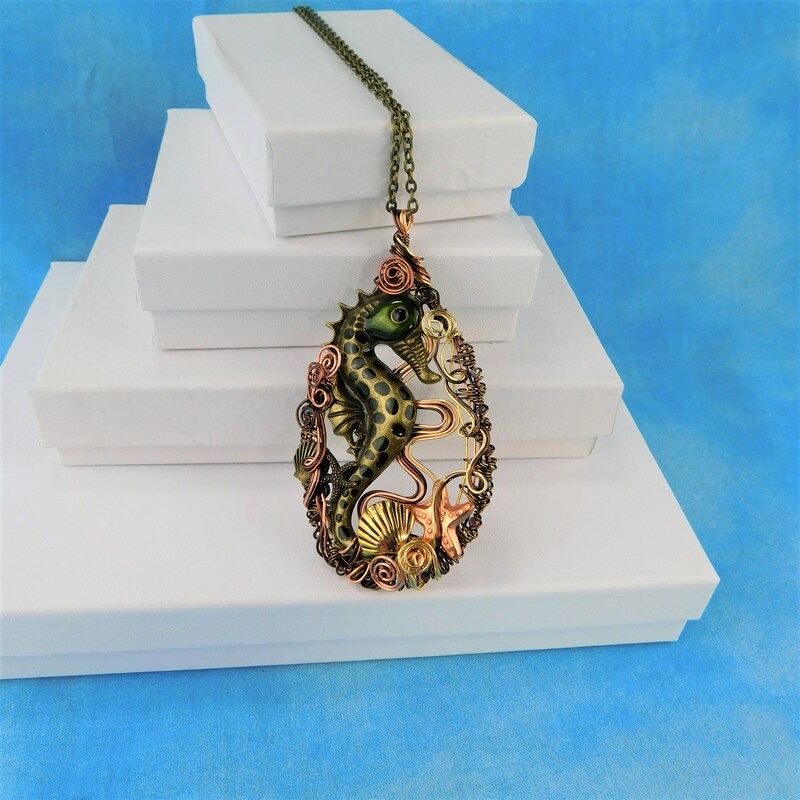 Five shades of non tarnish copper wire is meticulously hand woven and artistically sculpted to frame a large vintage bronze colored seahorse. 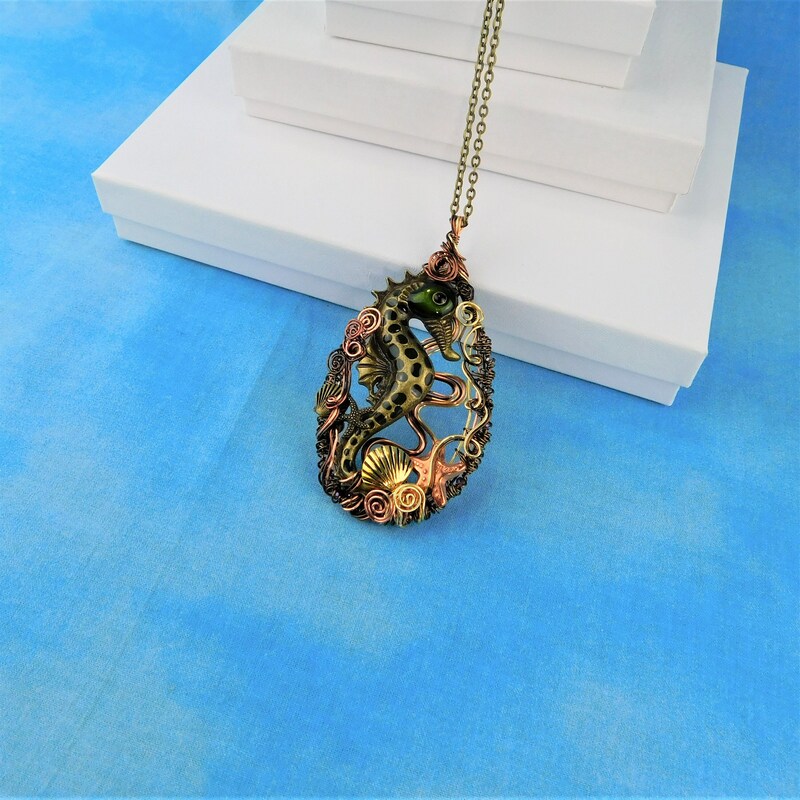 The frame is interwoven with dark crystals, adding flash and detail to this substantial statement piece. 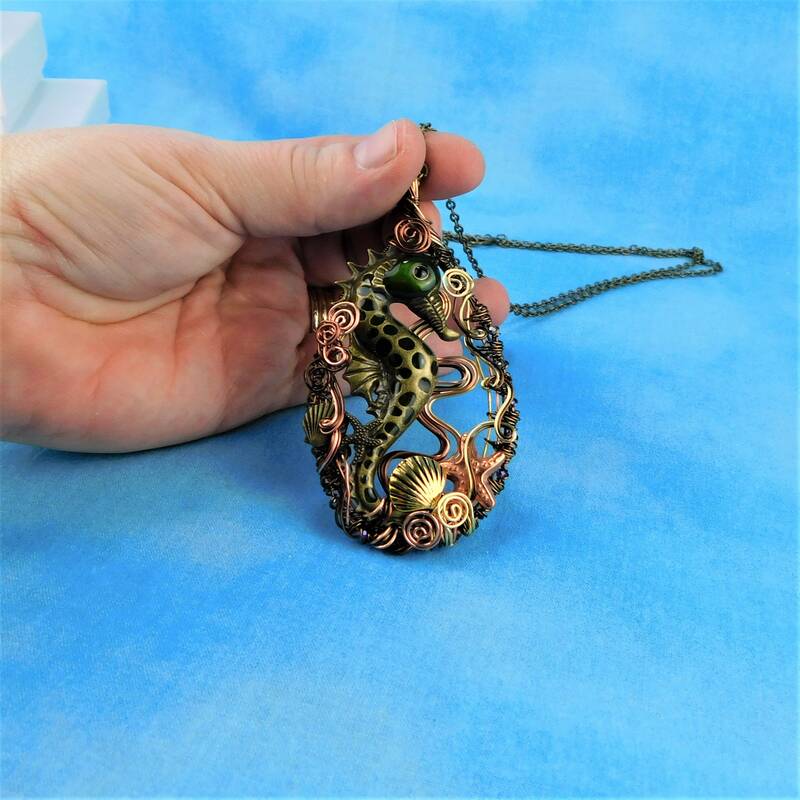 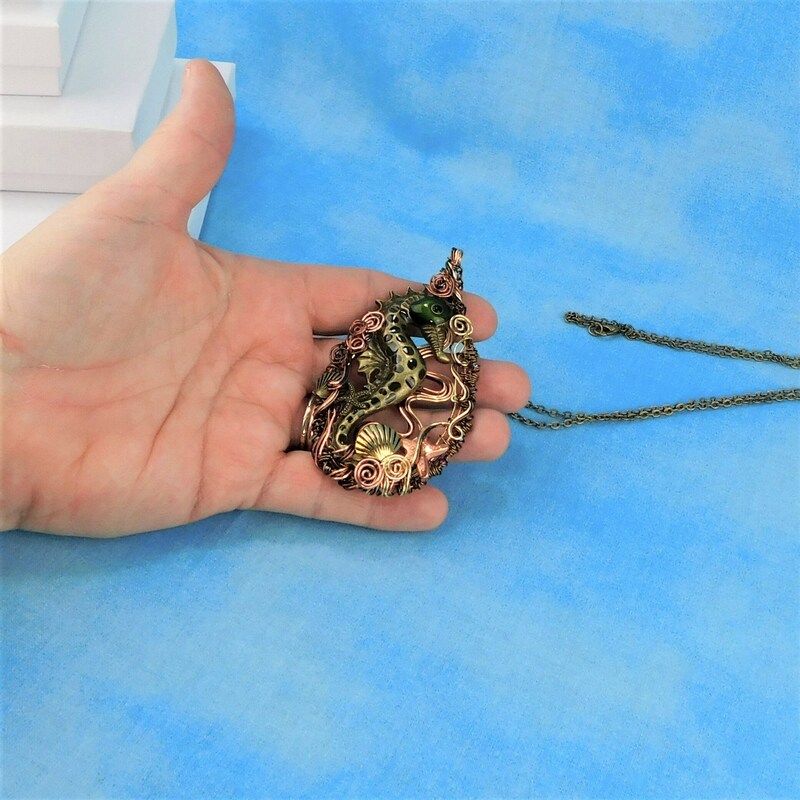 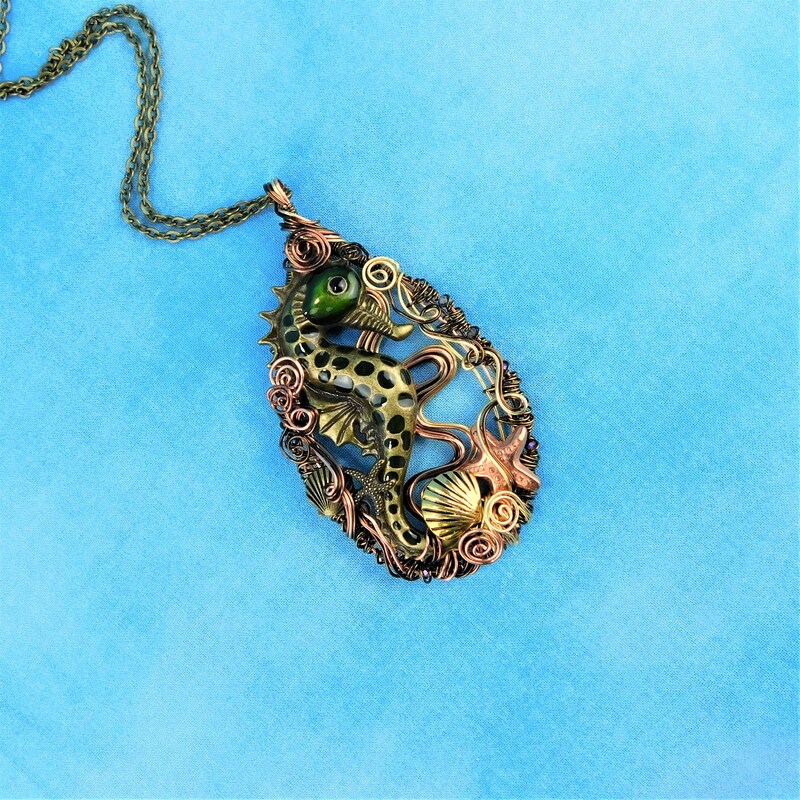 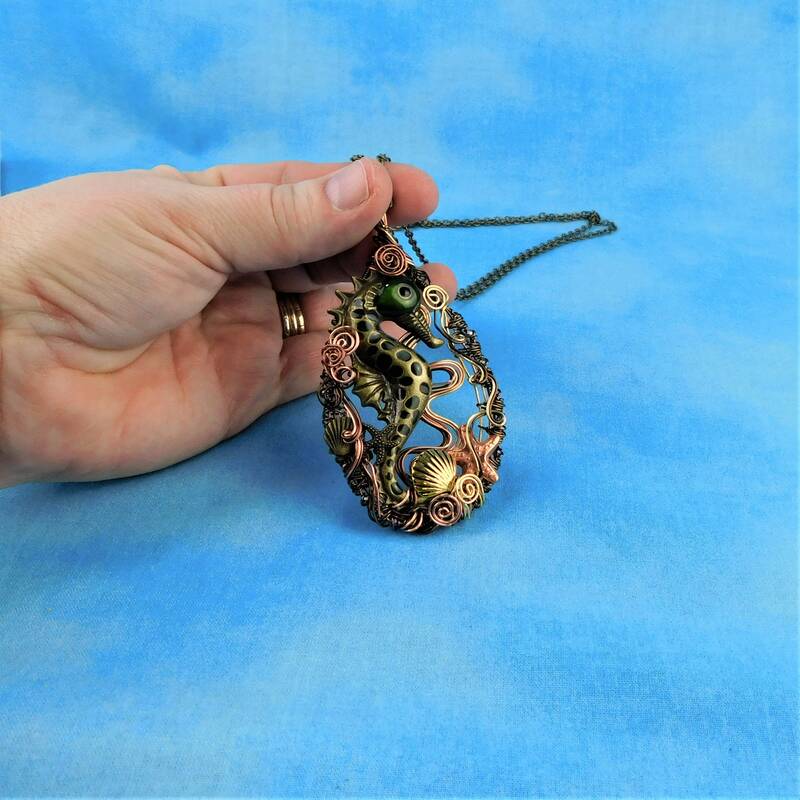 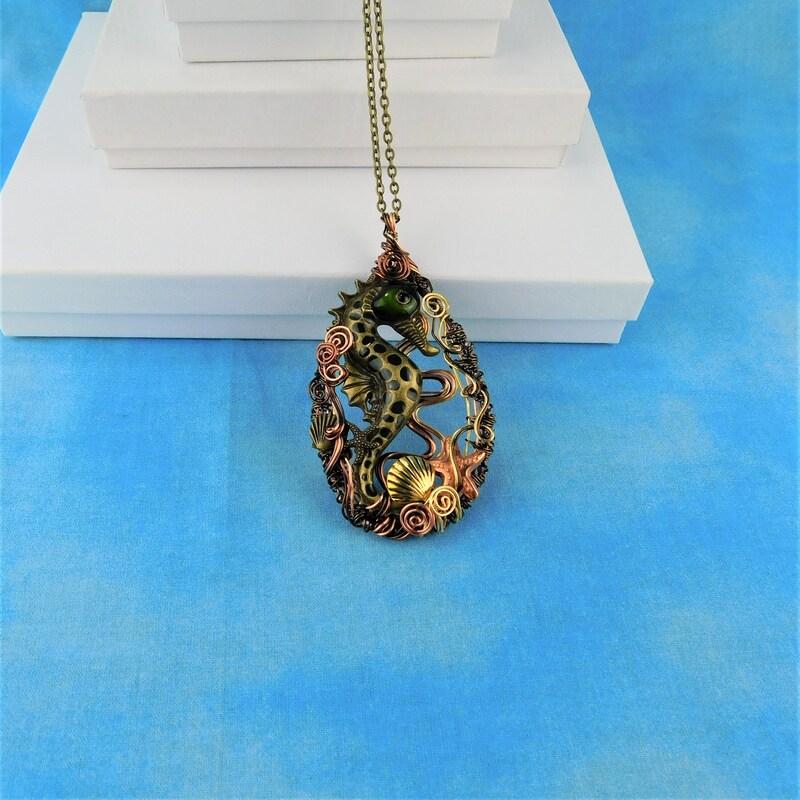 The artisan crafted pendant is created using only wire, some charms, a metal seahorse, a hand full of crystals, pliers and patience. 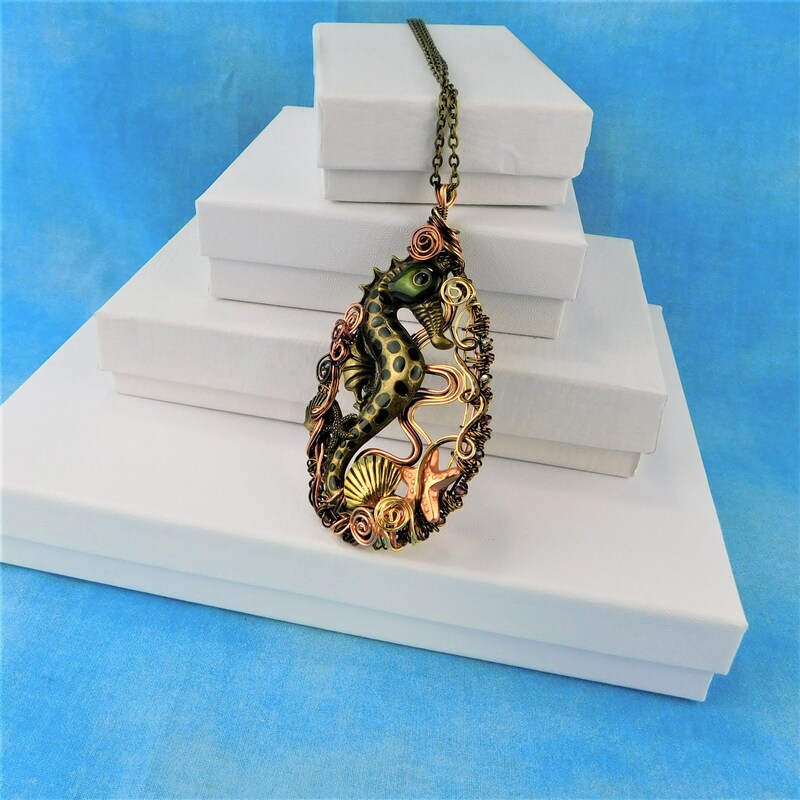 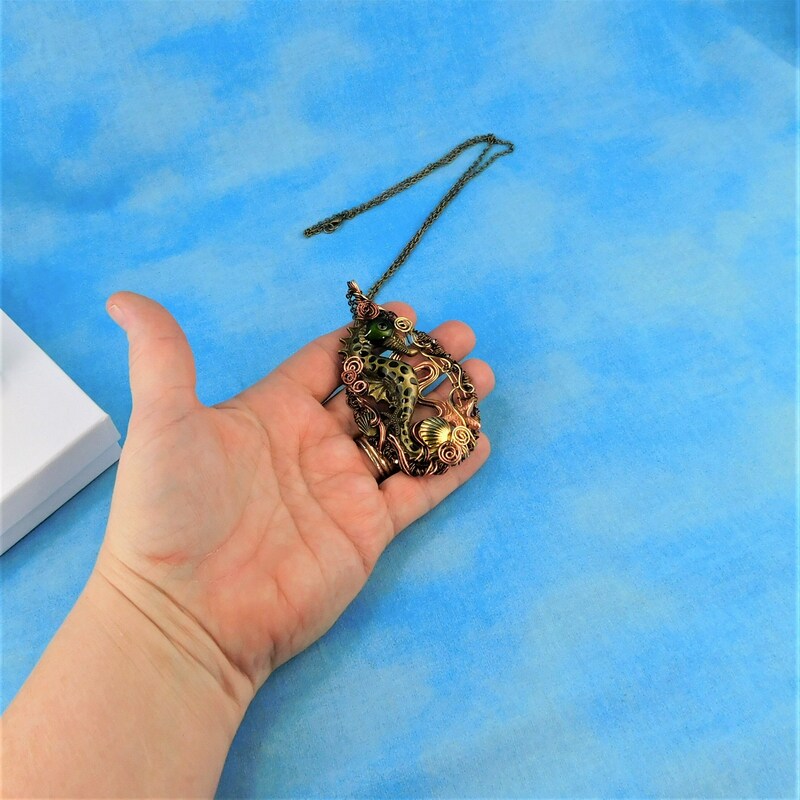 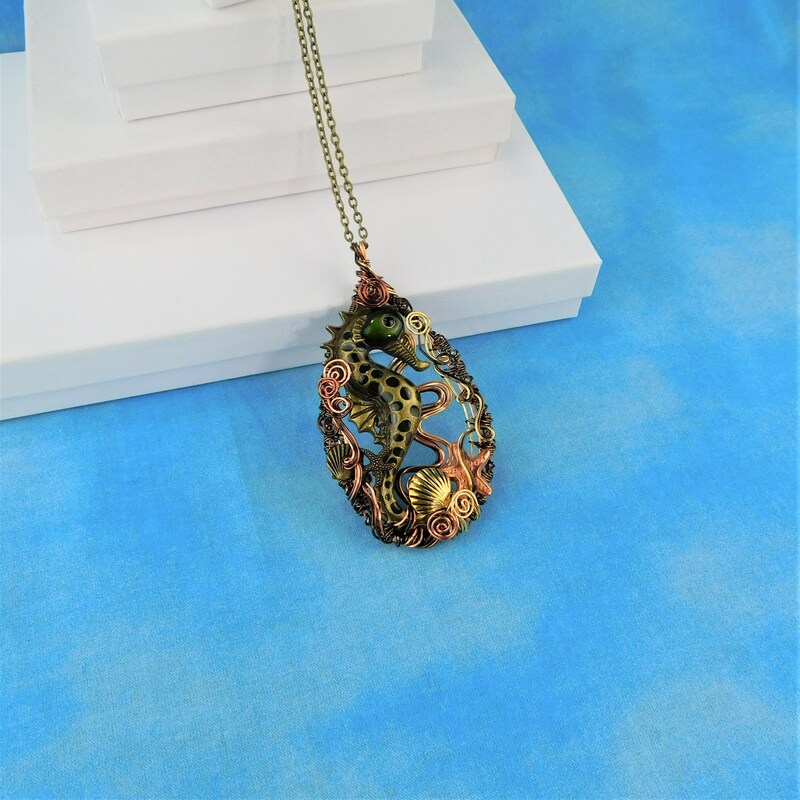 The pendant measures 3 inches by 1 3/4 inches and comes with a FREE coordinating chain with lobster claw clasp, measured to your preferred length.